Stoddard-Hamilton Aircraft Company was founded in 1979 as a manufacturer of kit airplanes, specifically the Glasair TD, which is a side by side, fiberglass airframe with conventional landing gear. The prototype was powered by an IO-360 engine and capable of 200 MPH cruise speeds and +6/-4 G ratings and roll rate of 140 degrees per second. The Glasair model was the first kit to introduce pre-molded airframe sections, which greatly reduced the time required to complete a kit. The original Glasair branched out into 3 different gear configurations- a retractable, tri-gear, and tailwheel. The company retired the original Glasair in 1989 in favor of the Glasair Super II, also available in retractable, tri-gear, and tailwheel configurations. The airplane was very similar to the Glasair I but with some aerodynamic tweaks to achieve a 220 MPH cruise with the typical 200HP IO360 engine. Around the same time, Stodard Hamilton came out with the Glasair III, which is available only with retractable gear and designed for IO540, 300+ HP engines, although some builders choose to add turbocharged power plants, even a few were built with turbine engines. A typical Glasair III cruises around 280 MPH or more at sea level. Glasair III’s with aerobatic modifications such as inverted oil/fuel and smoke systems have been used by airshow pilots, and performance-modified Glasairs commonly place in the top 5 in the Reno Air Races, including some first place finishes. In the mid 1990’s, the company developed a high-wing kit plane, known as the GlaStar, to give customers looking for a more versatile option besides the high performance Glasair models. In 2001 Stoddard-Hamilton was sold in bankruptcy and became the Glasair Aviation Company. The GlaStar was developed into the Sportsman 2+2, a 4 seat version of the GlaStar available in tri-gear or tailwheel configurations typically powered by 180-210 HP engines. The Sportsman is commonly fitted with tundra tires, STOL kits, or floats and perform well as bush planes.. The Sportsman can be built under the company’s “Two Weeks To Taxi” program, where perspective builders work at the Glasair factory side by side with Glasair employees to build their kit. After 2 weeks have a plane that is mostly complete and ready for interior and avionics. In 2012 the company was purchased by a Chinese business which intends to keep production in Arlington, WA and produce a certified LSA model for the American and Chinese training markets, while still producing the Sportsman and Glasair kits. The Merlin LSA prototype first flew in 2014 with a 100HP Rotax engine and Dynon glass panel avionics. The Glasair line offers pilots a more cost effective option looking for high performance, backcountry, or light-sport aircraft that are not available on the certified market. Victoria Neuville of Aviation Insurance Resources (AIR) regularly flies a Glasair I RG alongside her husband Bob. Each weekend you can see them speeding to different airports along the east coast. 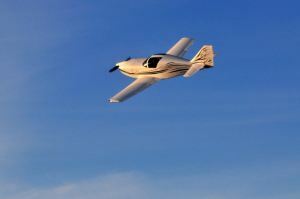 Whether you are an experienced Glasair pilot or this is a transition aircraft for you, AIR has the insurance solution! The agents and pilots at AIR shop ALL of the major aircraft insurance markets competitive for the type of flying you do. To find out more about Glasair insurance please contact Aviation Insurance Resources by calling 877-247-7767 or visit AIR-PROS.com today to receive complete and online aircraft insurance quote request!